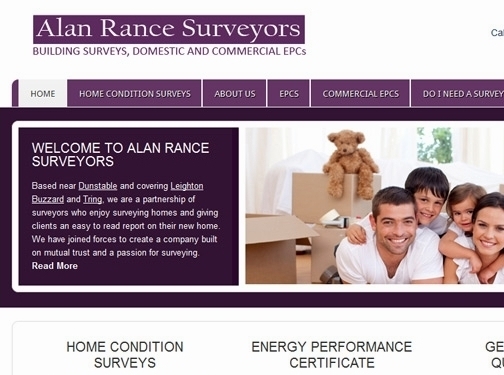 Alan Rance has over 30 years' experience and expert knowledge in surveying and understands the need to deliver a straightforward, jargon-free report. A high quality service is guaranteed where the needs of clients is put first at all times. For a free quotation on any of the services offered please contact us today. Services include residential EPC"s and Commercial EPC"s and Home Condition Surveys. To find out more about why you need a survey and how they would benefit you and your property please visit our websites for details. UK (Eaton Bray, Bedfordshire) based business providing property surveying services. Website includes details of services provided, testimonials, accreditations and associations, news section (with work examples and case studies), full contact details.